Note: In Europe during World War 2 D Day operations were being played out on the beaches of Normandy. 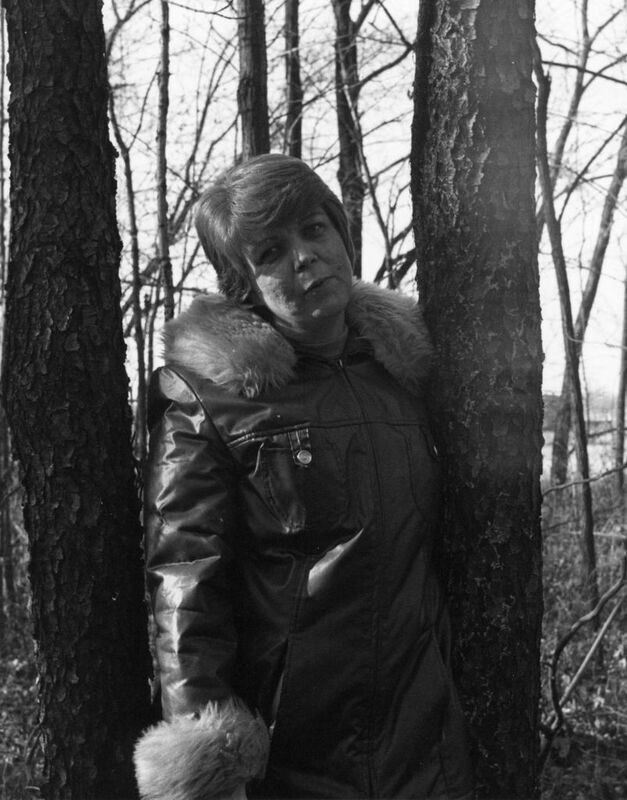 In the small town of Anderson, Indiana Shirley Kay Musick was born 6 June 1944 at 11:30pm at St. Johns Hospital. Dr. E. W. Gaunt of Alexandria was the physician at her birth. At the time of Shirley’s arrival into the world she and her parents were living at 302 Monroe St. in Alexandria, Madison County, Indiana. 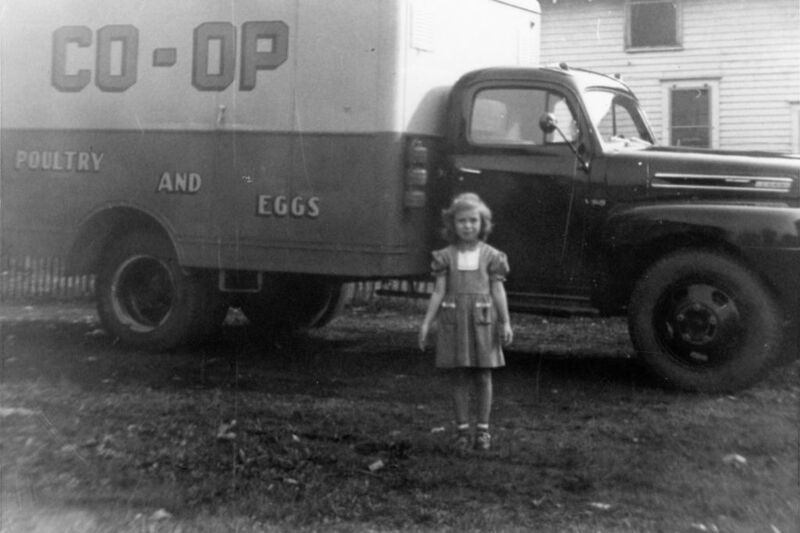 In about 1948 the family moved to a house on east 29th Street in Anderson where they lived until about 1950. 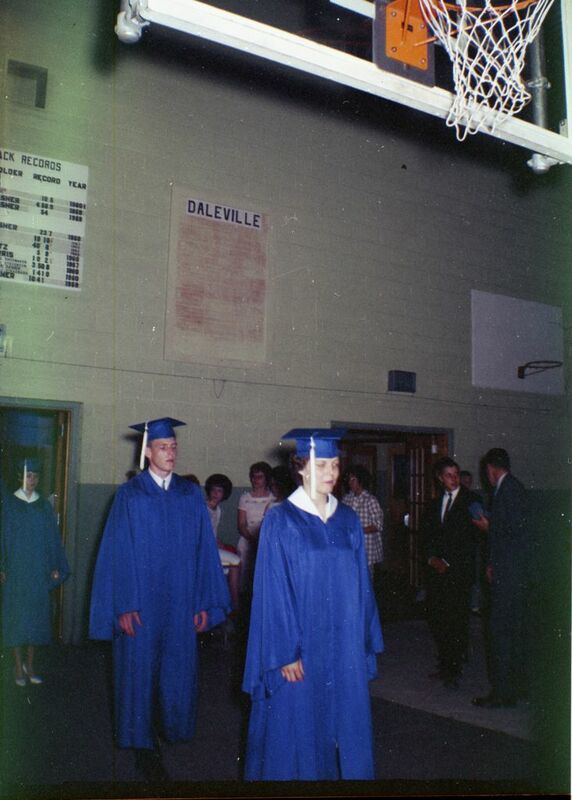 The schools at Daleville at that time were all housed in the same building which was located in the center of town on Walnut Street where the Lions park is now located. 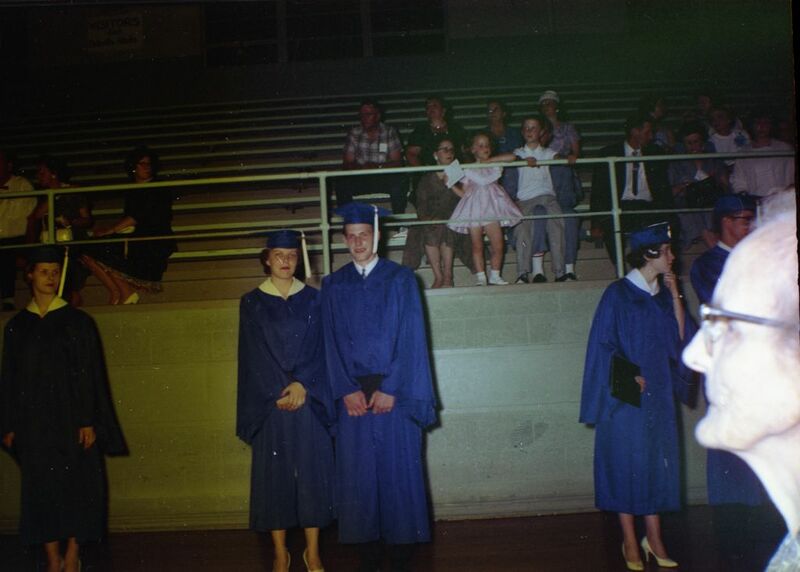 When the new high school was built in about 1957 the senior high children moved from the old building to the new building. The trip to Washington, D.C. was by train and it was a beautiful city with many wonderful sites to be seen. The trip from Washington DC to New York was by bus. New York was an interesting place but it seemed to rain all the time. 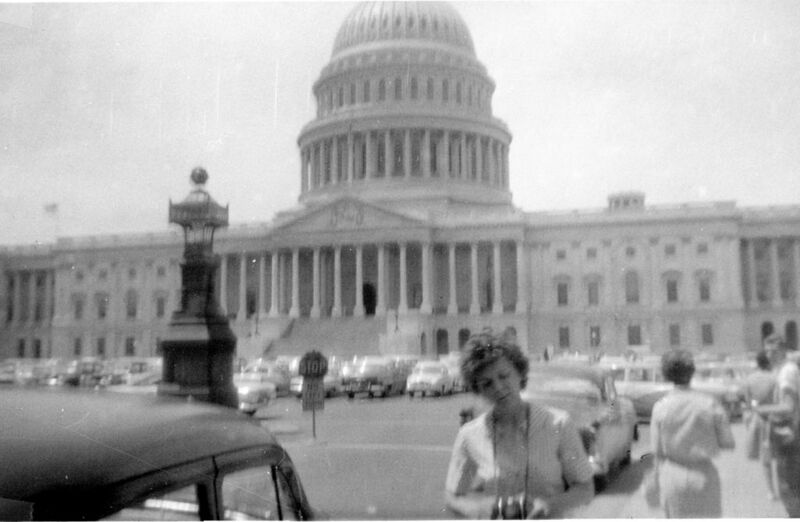 The bus was then taken back to Washington, D.C. for another day of sightseeing and then the train back to Indianapolis. Address: 420 E Main St, Apartment C4, Fort Wayne, Ind. 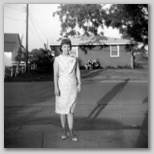 Note: Shirley attended classes at International Business College in Fort Wayne, Allen County, Indiana from the summer of 1962 until the fall of 1963. 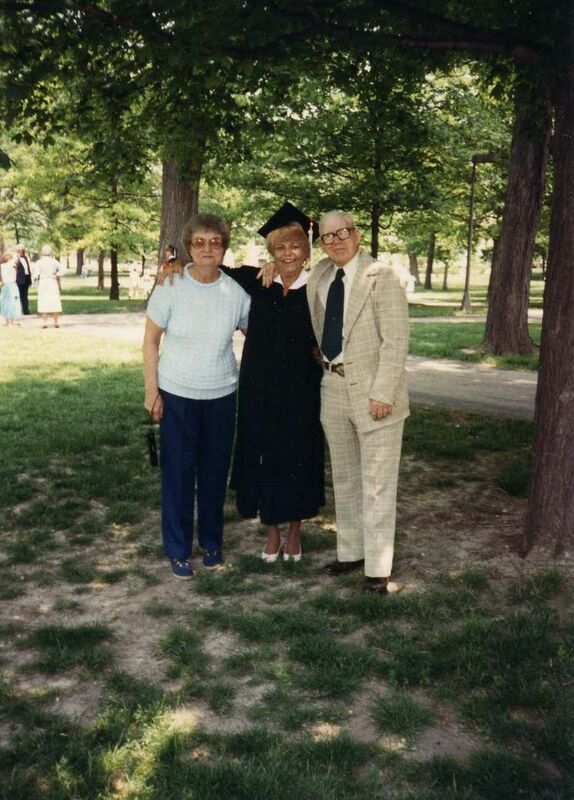 She was taking secretarial courses. She did not graduate from this school. 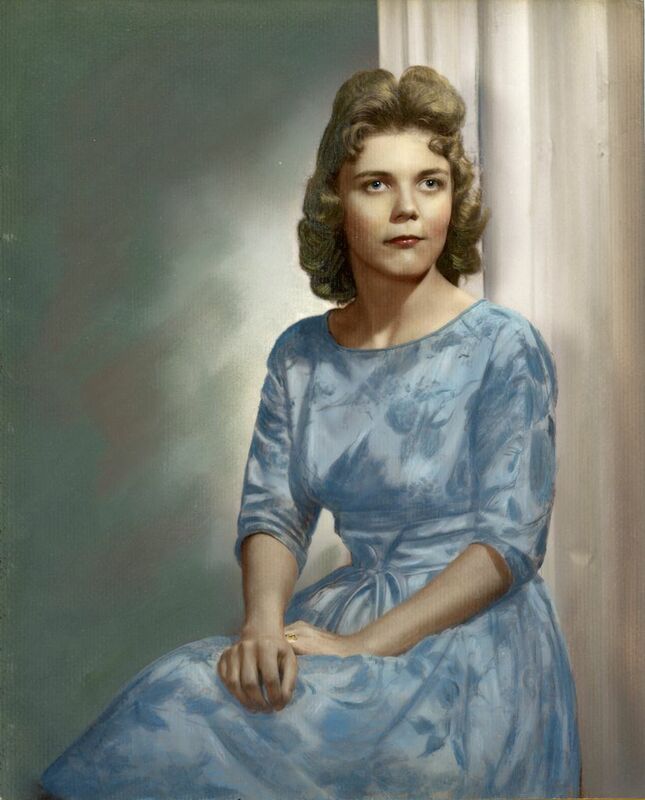 She was employed for a short time for Butterfield Canning Company on the east side of Muncie and served as a pool secretary. The first house for Shirley and her husband was the Little Green House located at 2628-1/2 South Pendleton Avenue in Anderson, Indiana. 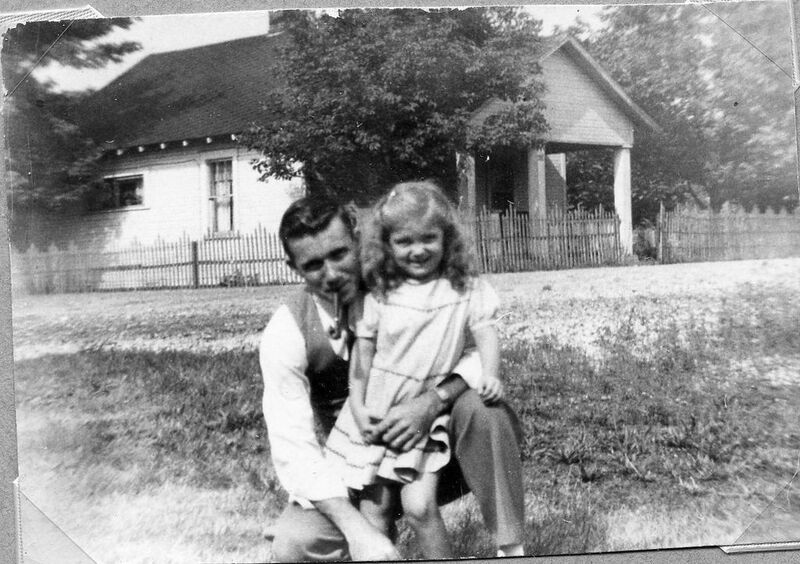 The little house was a rental that had green siding and belonged to Herb and Garnet Brown who operated a restaurant “Brownies” which was located in front of the rental on Pendleton Ave. This little house had a living room, 2 bedrooms, kitchen and a bath. According to the Browns this had once been a chicken coop that had been converted into the little rental house. The beautiful daughter of the couple was born while they were living at this house. 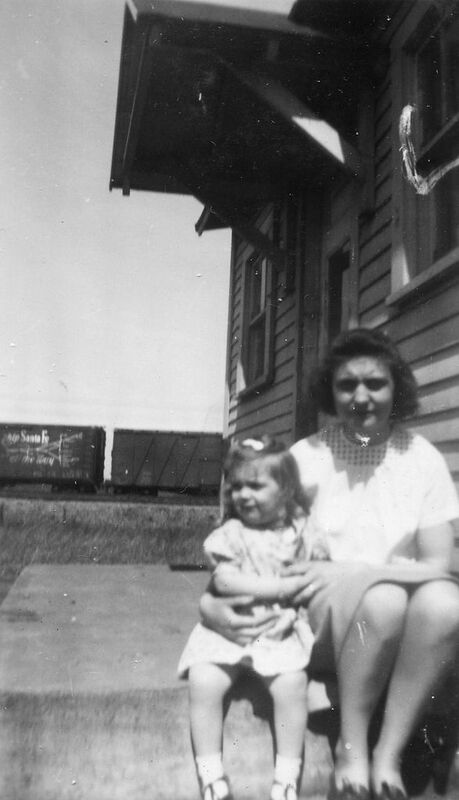 This was home to Shirley, her husband and little girl until August of 1966. 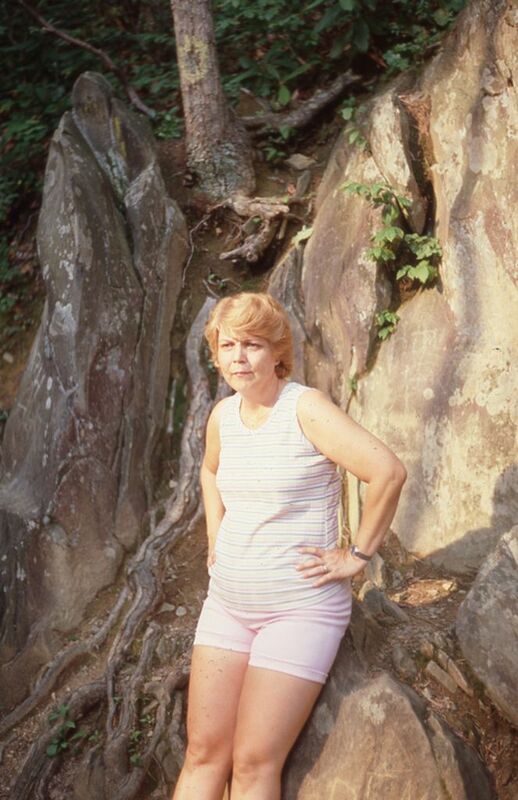 The parents of Shirley’s husband were living in a house north of Daleville and they decided they wanted a larger home and they had one built south of Yorktown. 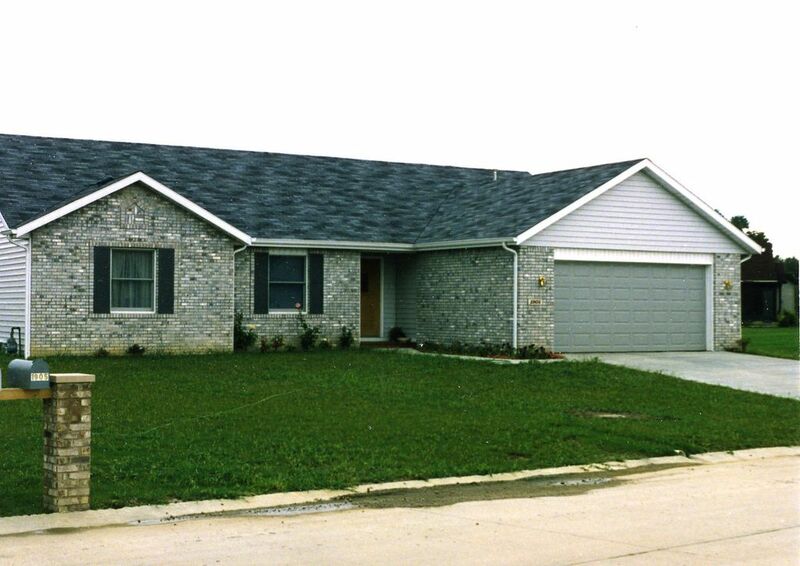 Once the new home was finished Shirley and her family bought and moved into this home which was located on County Road 400S, north of Daleville. This was the first home the family owned. It had 3 bedrooms, kitchen, living room and 1 bath, plus a 2-car garage. The lot it sat on was ½- acre. While living here another addition to the family arrived when their son was born in July of 1970. 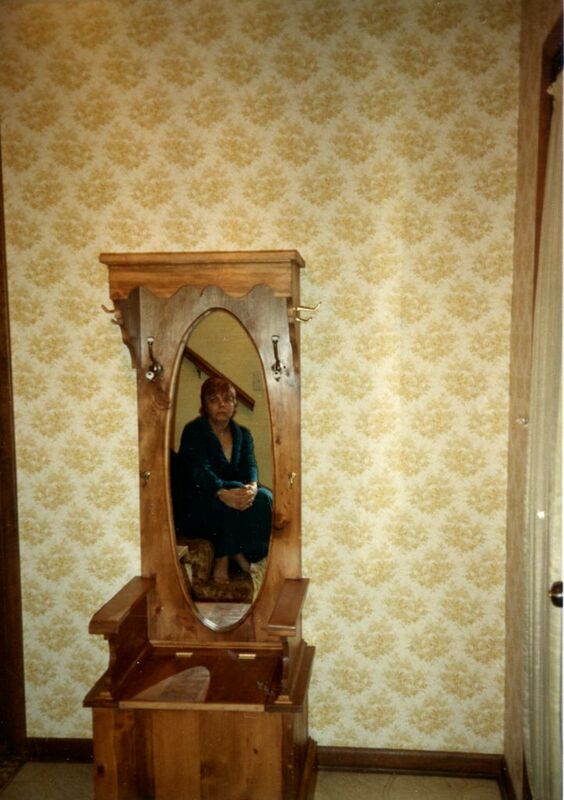 The family lived in this house until 1973 when they purchased a larger home with more land. 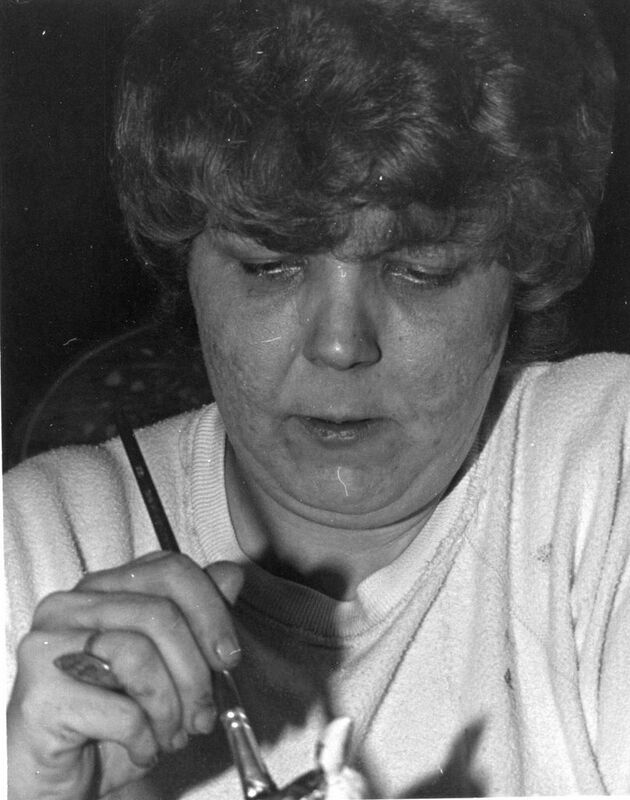 Notes: In 1967 Shirley began working for Warner Gear, Division of Borg Warner Corporation in Muncie. 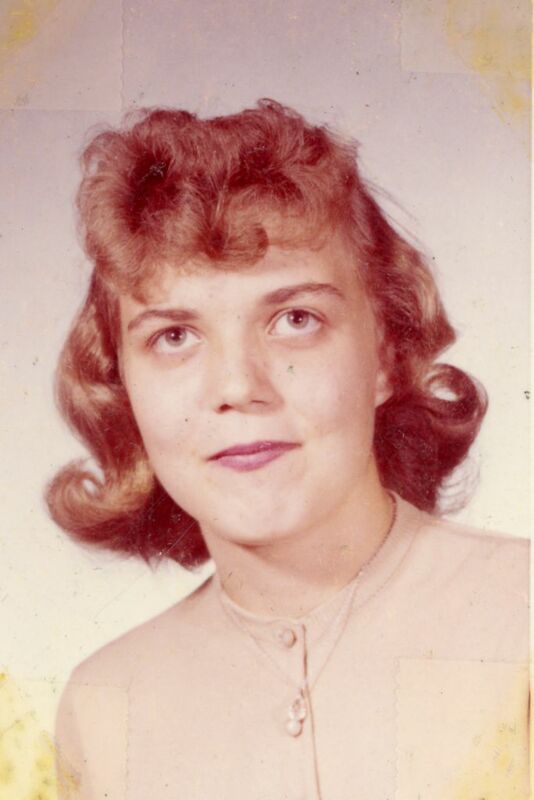 When she began her career she was working in the secretarial pool at the original plant located on the east side of Muncie. She was soon moved out to the new offices that were built on the west end of the large plant located on the south side of State Road 32 on the west side of Muncie. 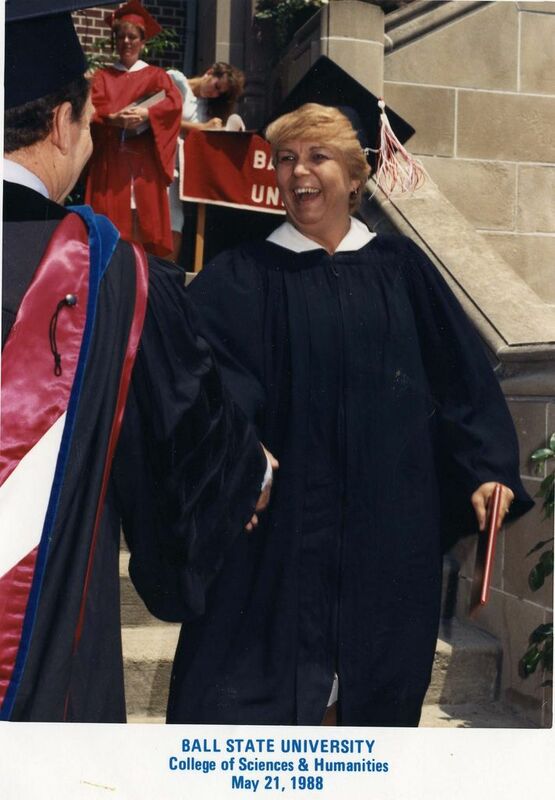 She served as a secretary for several people until she was finally elevated to a supervisory position which she held until her retirement in 1997. The new home was located on Indiana State Highway 67 South. 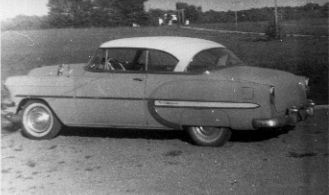 It was located south of Muncie and sat on the west side of the highway. This home had a long, curving concrete drive and at the time of purchase sat way back off the highway. Presently it sits much closer to the highway due to the expansion of the highway from a 2-lane road to the present 5-lane highway. This home was bigger and the land was about 1.25 acres. The home featured 3 bedrooms, 2.5 baths, living room, family room, large kitchen, laundry room and a 2.5 car detached garage with an office. This was a very pleasant home and the daughter was attending Daleville Elementary School. 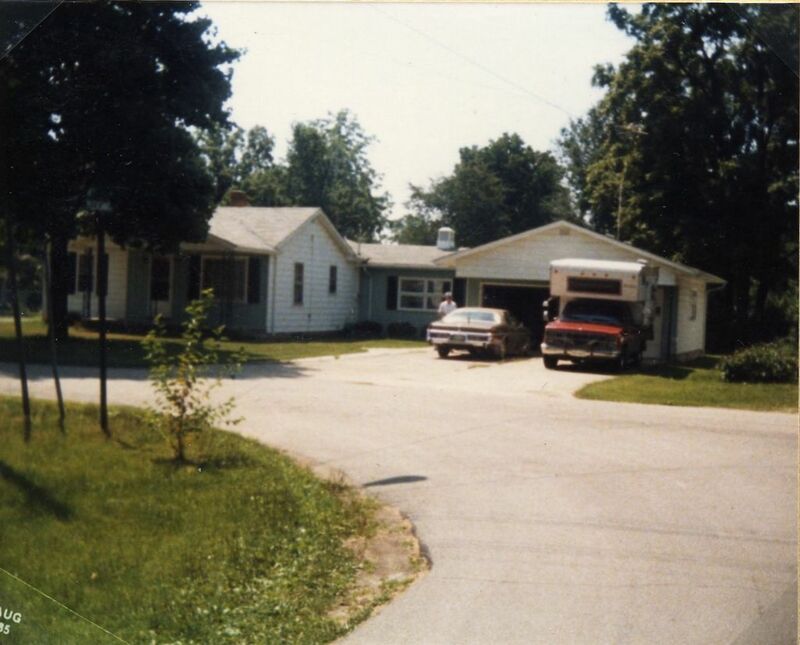 The family remained in this home until the summer of 1976 when they had a larger home built southeast of Muncie. The construction on this home was started in the spring of 1976 and the family moved into it in August of the same year. This home was situated on a hill near the east side of the property. The property consisted of 9 acres, one half of which was a woods. The home itself was a brick 2-story home that had 4 bedrooms, 2.5 baths, living room, family room, den, radio room, breakfast room, dining room and a kitchen. 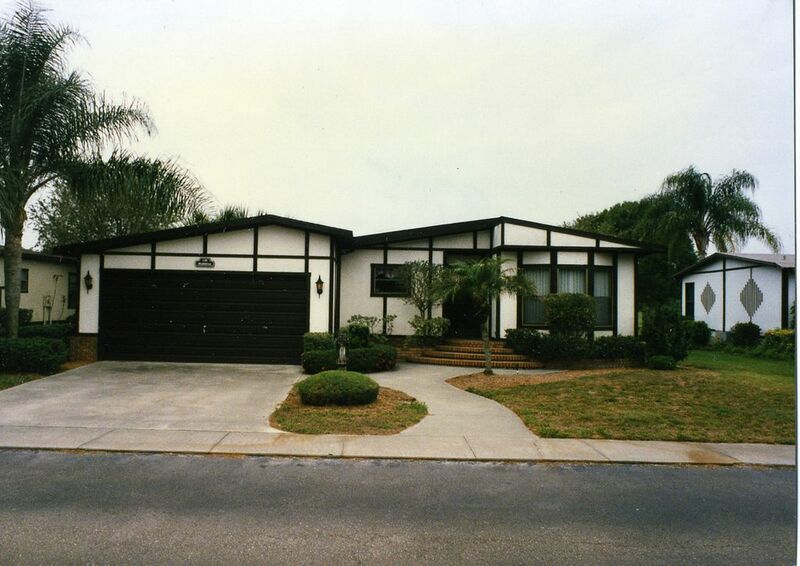 Originally there was a 2.5 car attached garage and later a 2.5 car detached garage was also constructed in 1984. To the west of the home was a low spot in which water collected which we referred to as "The Lagoon". A pond was dug in this area in 1988 and it was an enjoyable spot for the relaxation of the family. It was small but very scenic and was visited by a wide variety of birds and animals. 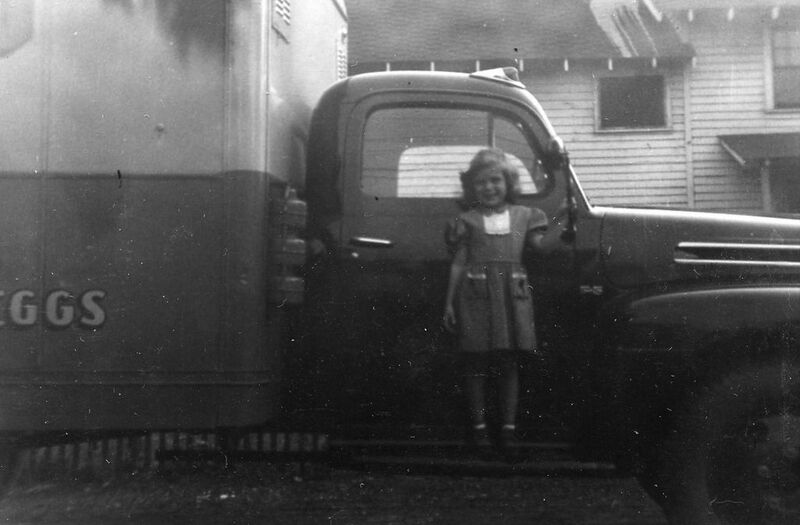 Notes: Following her retirement from Warner Gear Shirley began her career in real estate. This had been a dream of hers for several years and she enjoyed the wonderful opportunities of a robust housing market of the 1990s. Sandpiper Condo: Following her divorce and the sale of the 450S home, she moved to a condo at Sandpiper on the north side of McGallaird in Muncie. 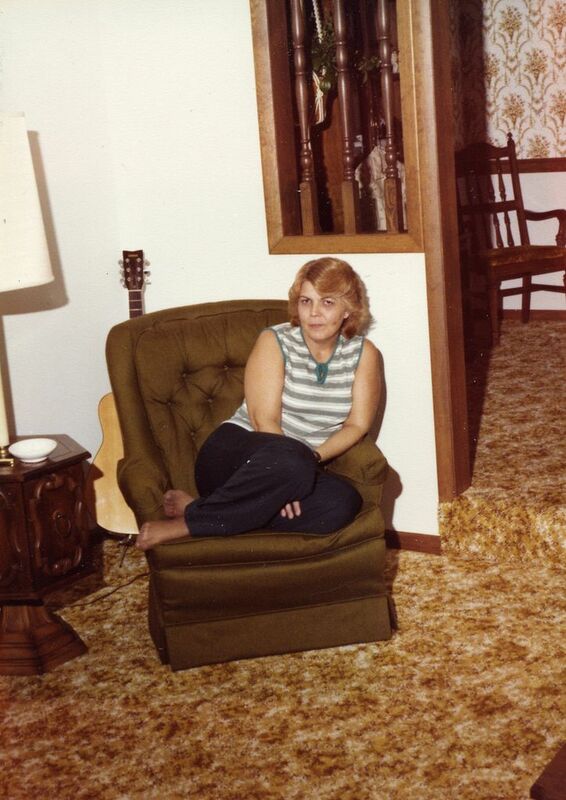 Yorktown: She later sold the Crooked Creek home and moved to a home located northeast of Yorktown (700 Greenland, Yorktown, IN 47396 - 765-759-8245). 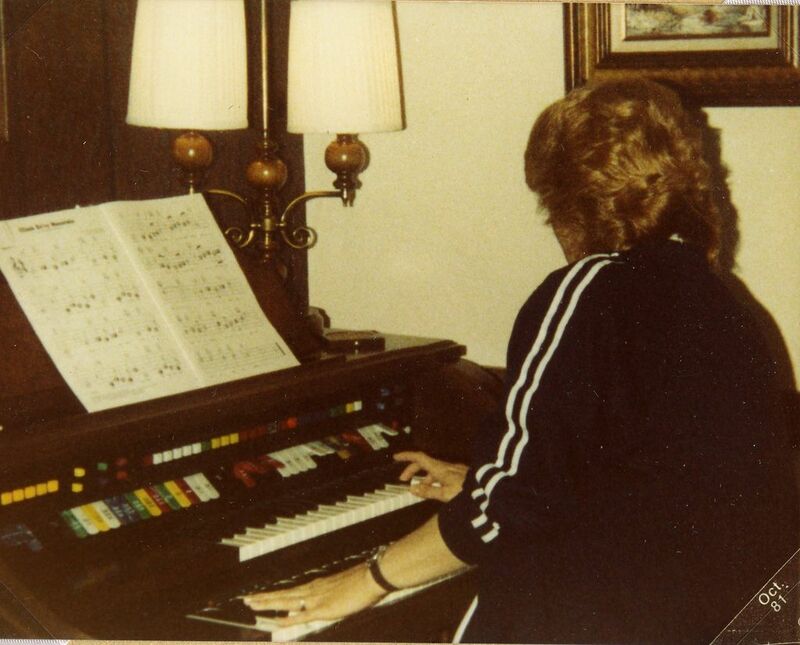 In about 1998 Shirley moved full time to her condo she owned in North Fort Myers, Florida. This condo was a double-wide and located in a gated golf community called Del Tura. She had purchased this condo some time before she moved into it permanently and had rented it. 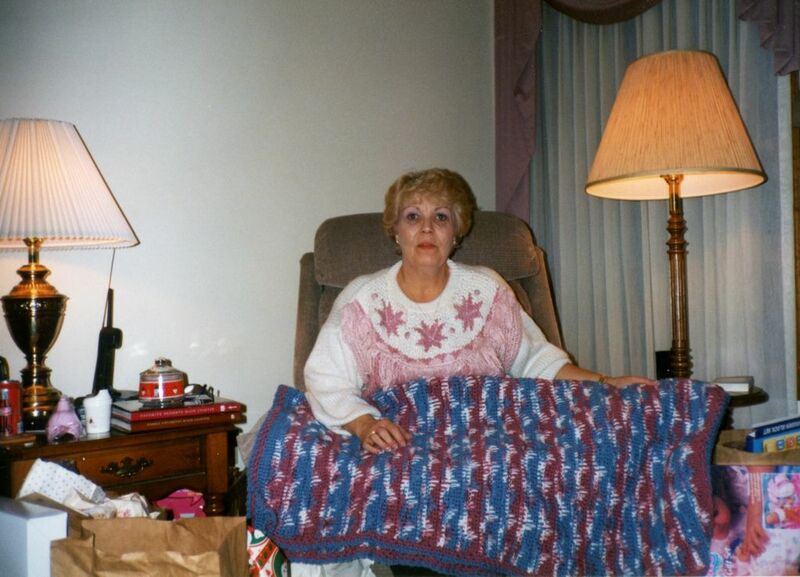 While living here she became seriously ill with cancer and eventually had to move to a nursing facility. 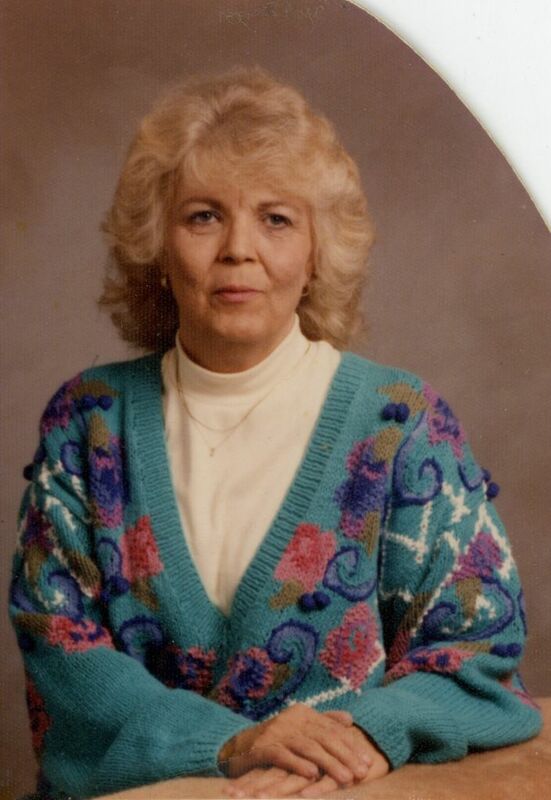 She lived at the Gulf Coast Village Care Center between March and Oct of 2001. 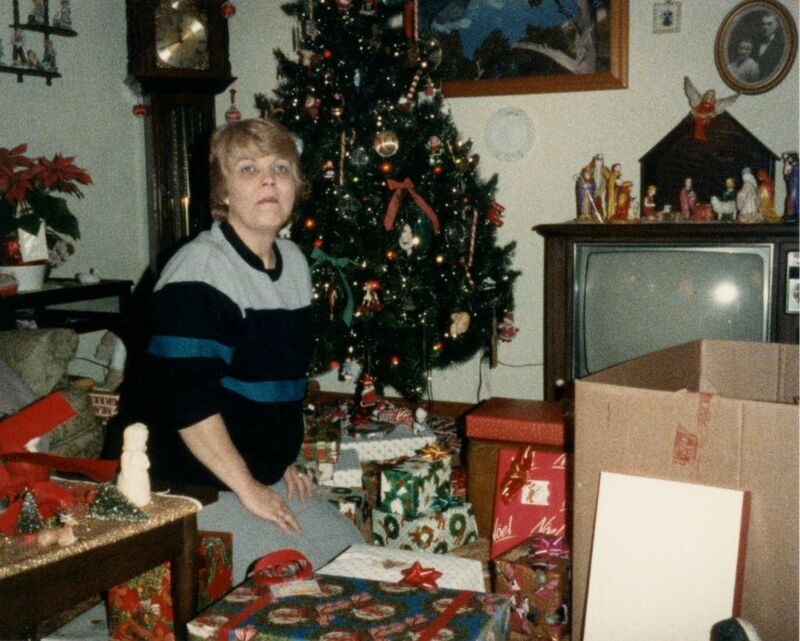 Since she was no longer able to care for Sam her ex-husband and his wife took him in and he lives with them to this day. S5 Obituary: "Shirley K Robbins, 57". Muncie StarPress.com (Muncie, Delaware County, Indiana), 16 Oct 2001. Acc000264. 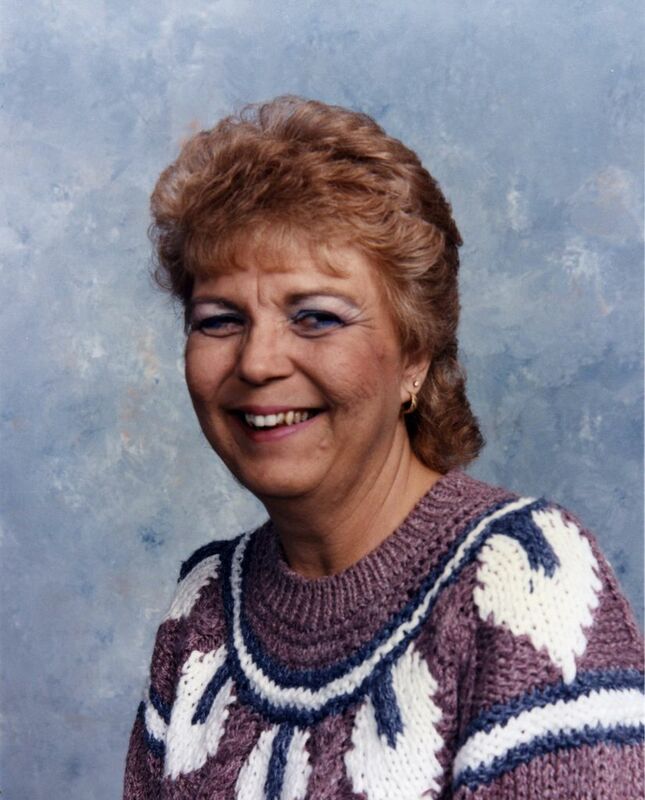 DALEVILLE - Former Daleville and Cowan resident, Shirley Kay Musick Robbins, 57, Cape Coral, Fla., died Oct. 12, 2001, in Cape Coral Hospital after a brief illness. 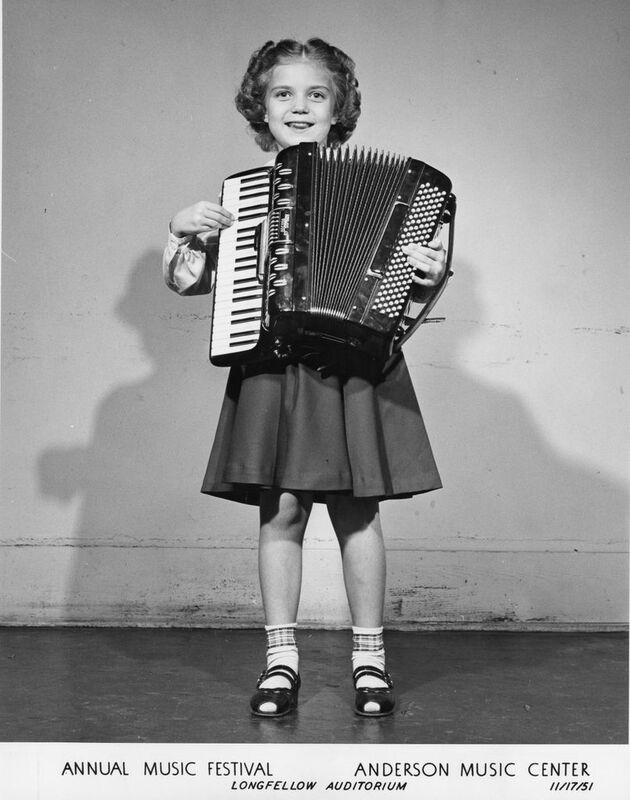 She was born in Anderson, Ind., June 6, 1944, the daughter of Herschel and Betty Davis Musick. 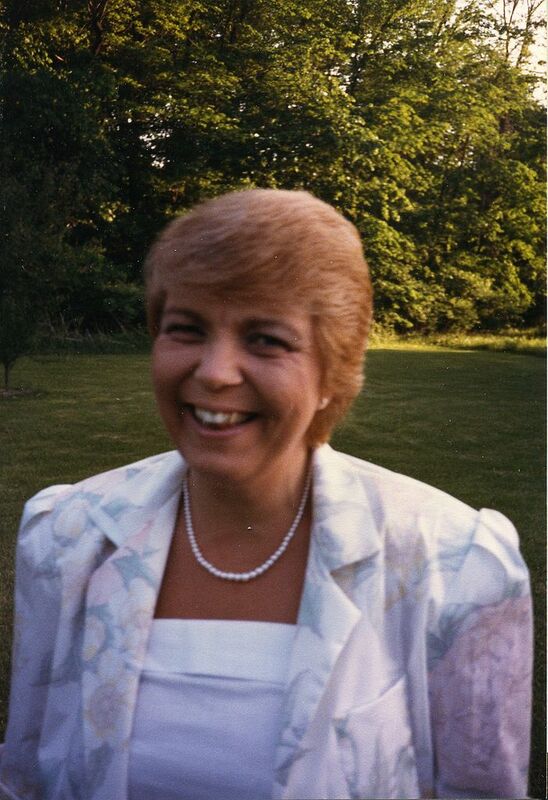 She was a manager at BorgWarner, Muncie, for over 31 years. 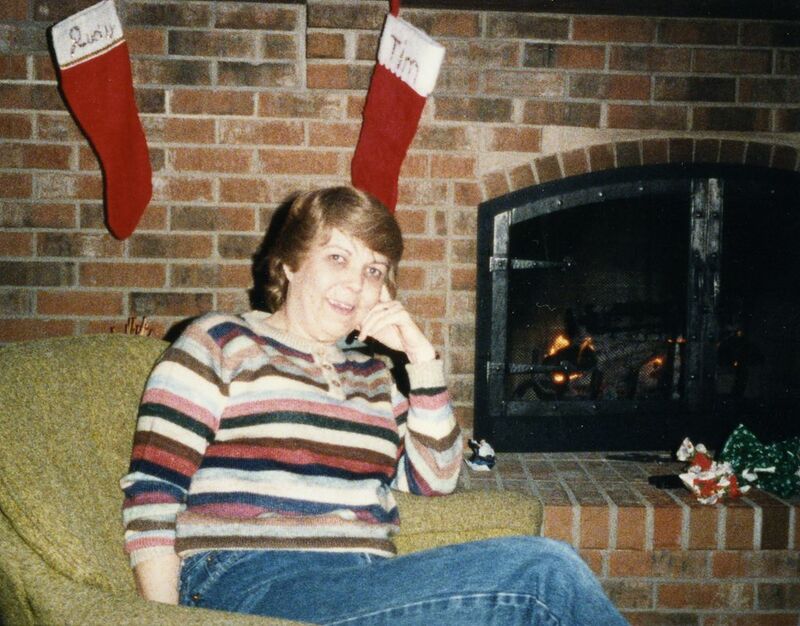 She lived in the Daleville and Cowan area until 1998, when she moved to Florida. 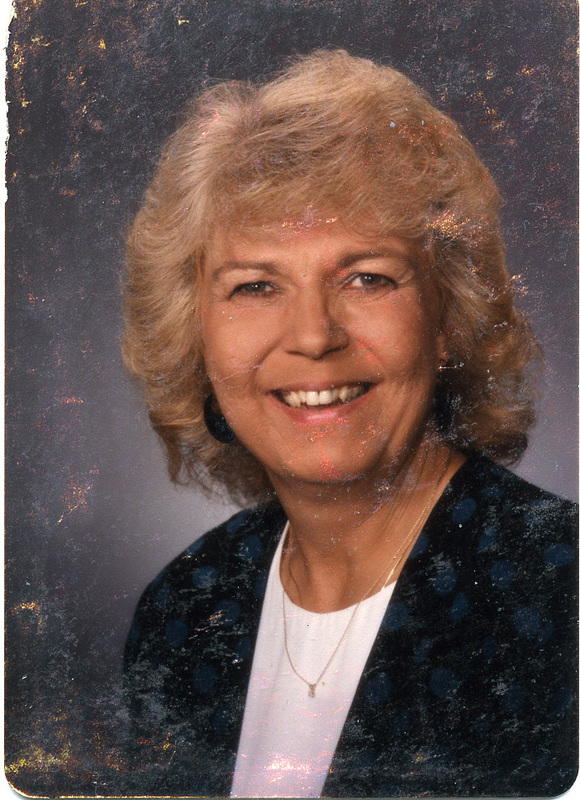 She was a member of the Muncie Board of Realtors. Besides her parents, she is survived by her children, Kelly Mathews (husband: Tim), Daleville, and Kevin Robbins (wife: Laura), Cape Coral, Fla.; a brother, Mark Musick (wife: Betty), Plainfield; a niece, Jennifer Musick; a nephew, Eric Musick; several aunts and uncles; five grandchildren, Heather Mathews, Brittany Mathews and Bradley Mathews of Daleville, and Kasey Robbins and Justin Cooper of Cape Coral, Fla.
Memorial services will be at 6 p.m. Friday at Ballard and Sons Funeral Home, Daleville Chapel. Friends may call of the funeral home 4-6 p.m. Friday. Memorial contributions may be made to the Ball Memorial Hospital Cancer Unit, 2401 W. University Ave., Muncie, IN 47303. 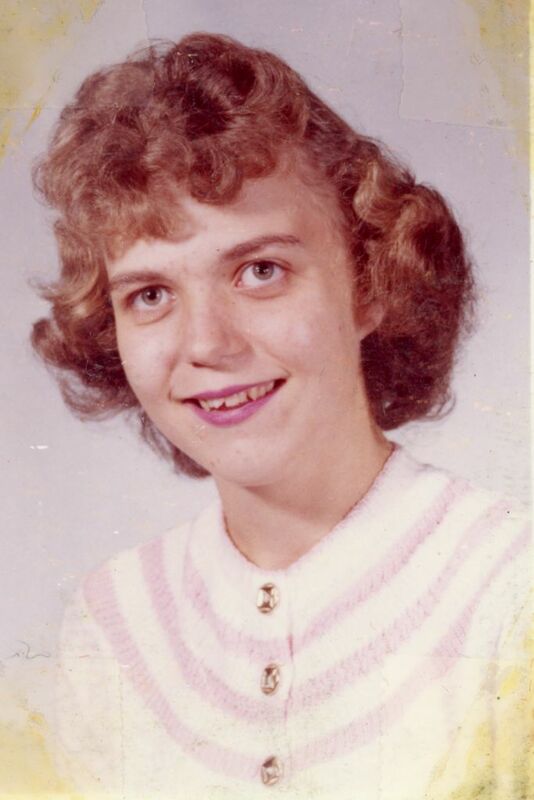 Extract: Name: Shirley K Robbins - SSN: 308-46-9374 - Last Residence: 33903 Fort Myers, Lee, Florida, United States of America - Born: 6 Jun 1944 - Died: 12 Oct 2001 - State (Year) SSN issued: Indiana (1961). S15 Enrollment Agreement. International College, Fort Wayne, Indiana. 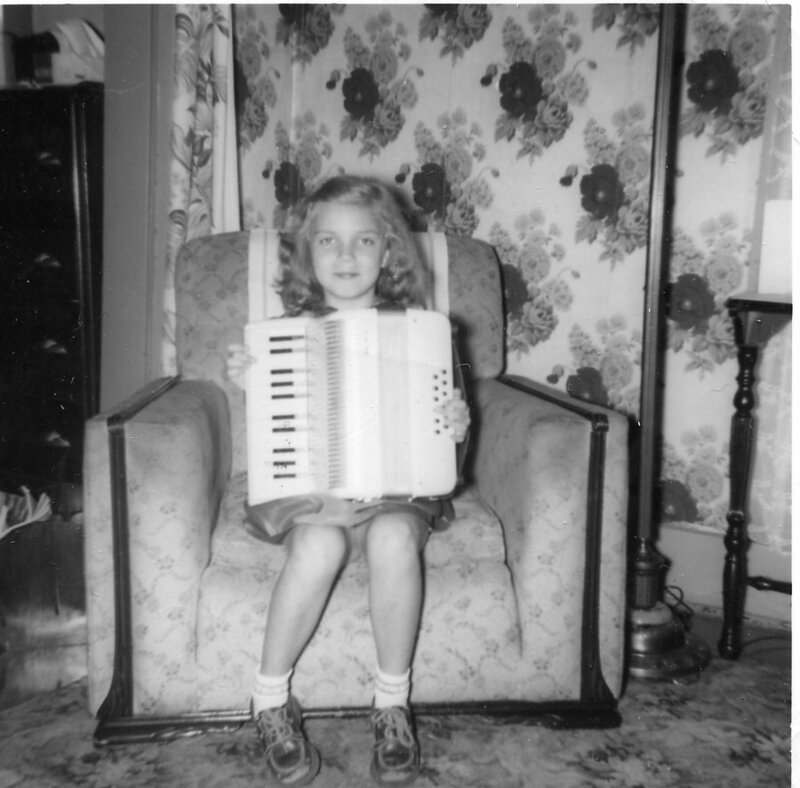 Shirley Kay Musick, 6 Nov 1961. Acc001498/Doc0761.pdf. 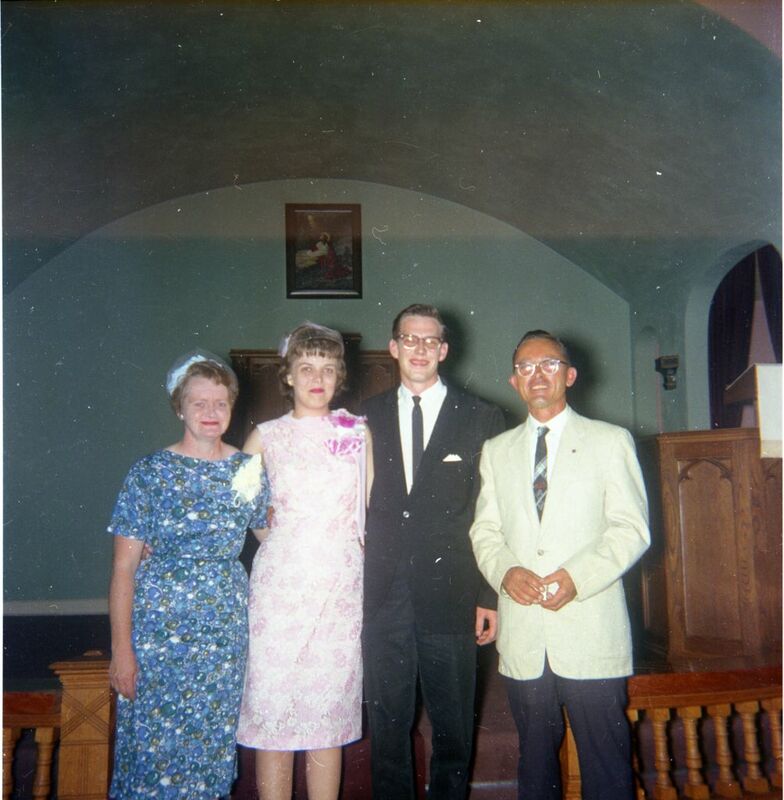 "Miss Shirley Kay Musick weds Walter Robbins Jr. - Miss Shirley K Musick became the bride of Walter Robbins Jr. in an informal single-ring ceremony performed by Rev H. J. Oesahle. 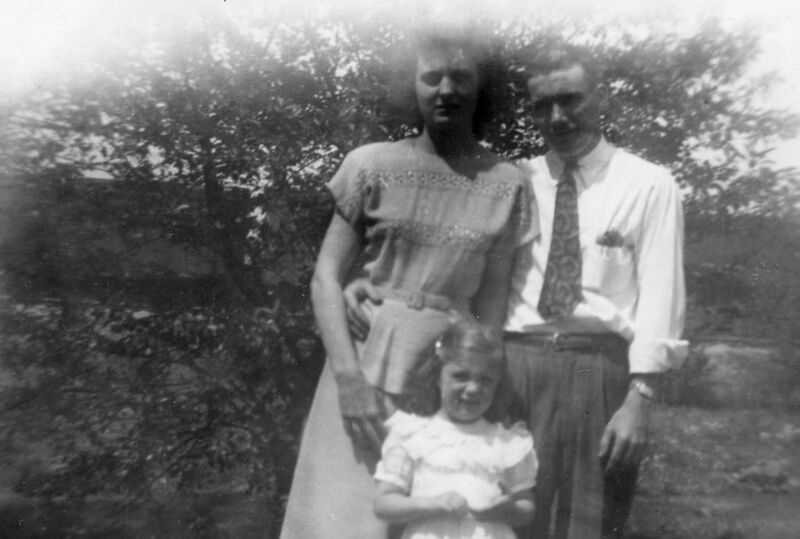 Parents of the couple are Mr. and Mrs. Herschel Musick, Daleville, and Mr. and Mrs. Walter Robbins Sr, Daleville. The vows were exchanged June 19 n the Daleville Methodist Church. A two-piece ensemble was worn by the bride. A small pink hat with a short white veil and pink accessories completed her outfit. She wore an orchid corsage. 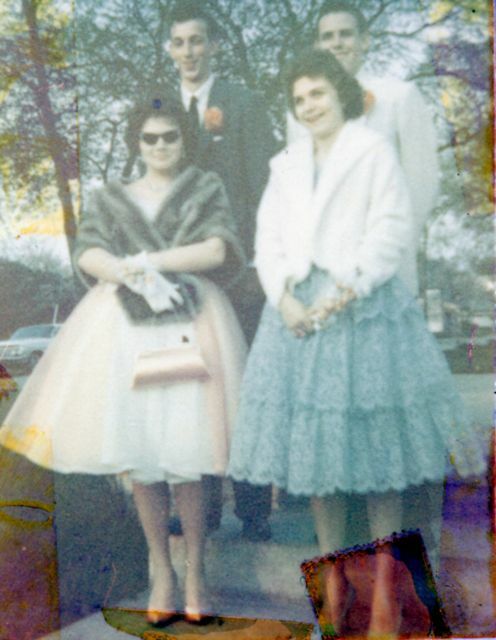 Mr. and Mrs. Claude Stage of Daleville served as the couple's only attendants. 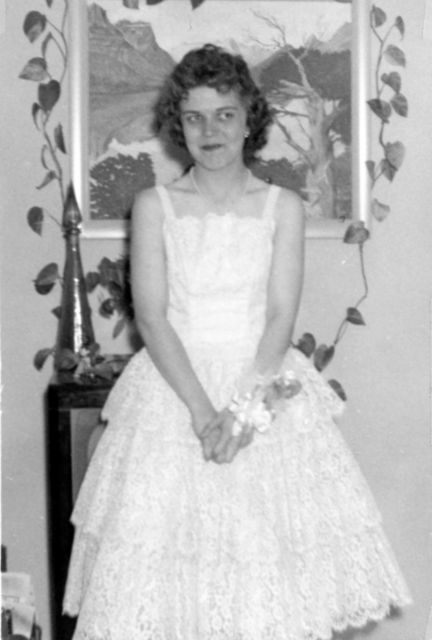 White carnations were worn by the mothers of the couple. 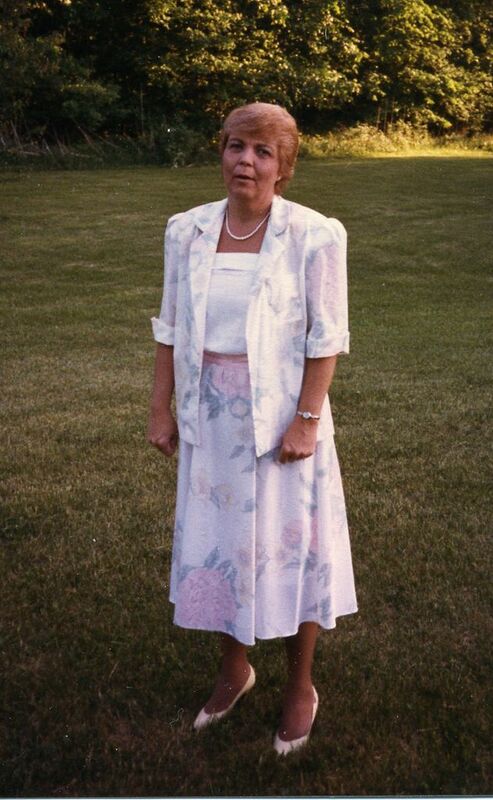 Mrs. Musick's dress was of orchid Dacron and her accessories were of white. Light beige accessories complemented the beige dress worn by Mrs. Robbins Sr. A small reception was held at the home of he bride's parents with Mr. and Mars Herbert Brown of Anderson serving. The bride is a graduate of Daleville High School and attended International Business College at Fort Wayne. She is employed as secretary in the offices of Myers, Schlegel and Shirey, attorneys. Mr. Robbins Jr. is employed at Knapp Supply Company"
"Musick-Robbin Vows Given Last Friday - The Reverend Harold Oeschle read the marriage vows for Miss Shirley Kay Musick and Walter C Robbins Jr., Friday evening June 19 at the Daleville Methodist Church. Mr. and Mrs. Claude Stage were the couple's attendants. The bride wore a two-piece pink lace bolero dress, pink hat with veil, white accessories, and an orchid corsage. 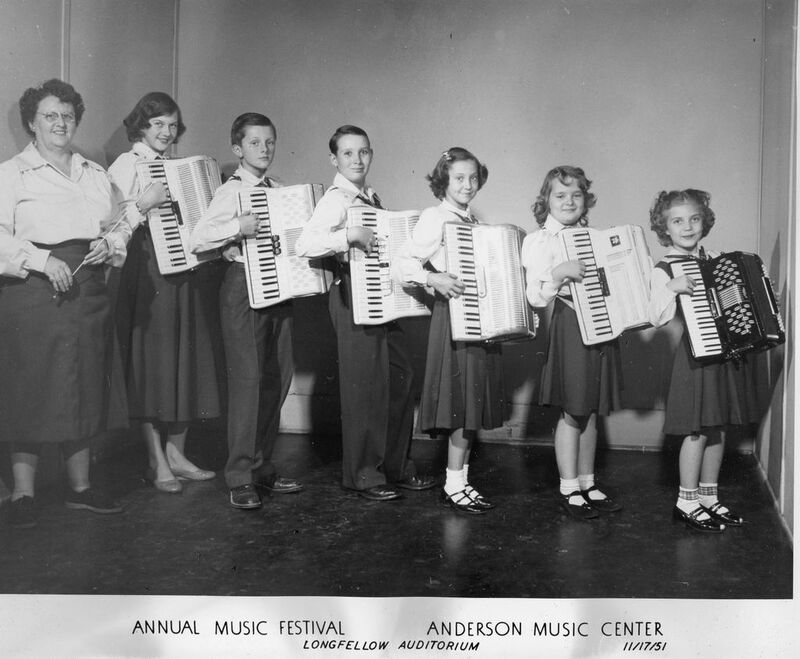 A reception for the immediate families, attendants, and Mr and Mrs. Herbert Brown of Anderson, was held at the Musick home following the ceremony. 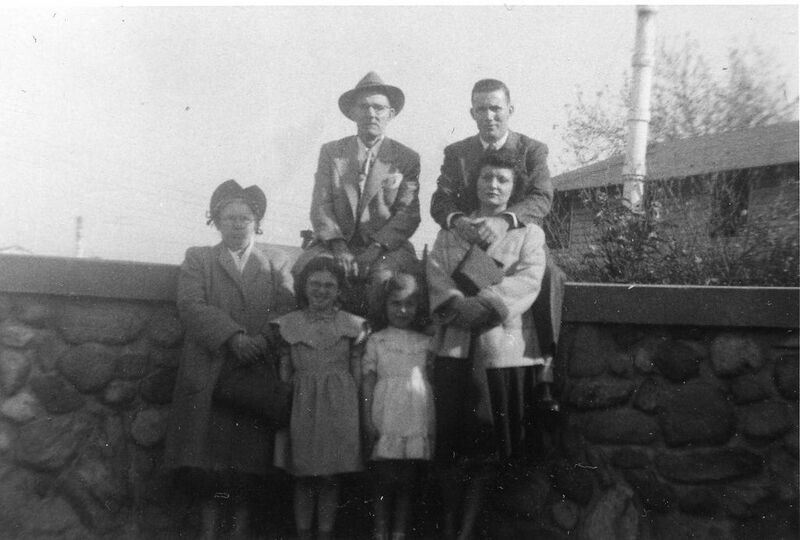 Attending the wedding were Mr. and Mrs. Herschel Musick, and Mark, Mr. and Mrs. Walter C Robbins Sr. and children, Janet and Philip, and Herb and Kirk Stage. 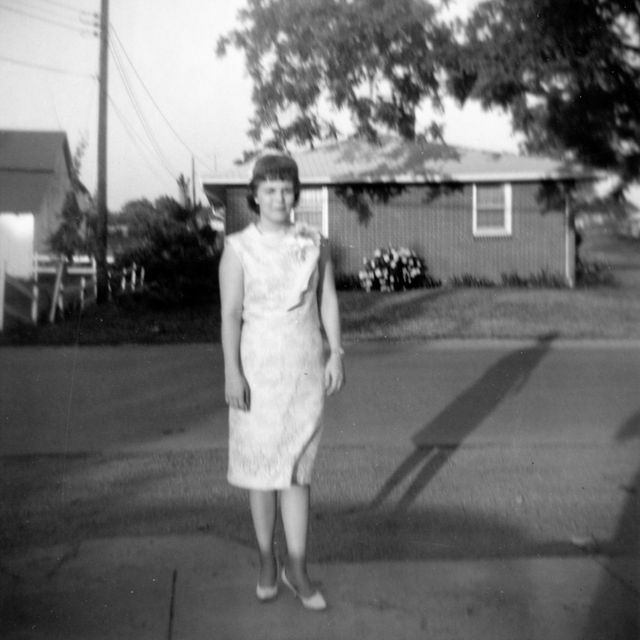 The couple is at home at 2628-1/2 Pendleton Ave, Anderson, Ind"
"Mrs. Robbins Feted at Bridal Shower - Mrs. Walter Robbins Sr. [Jr.] formerly Shirley Kay Musick was the guest of honor recently at a bridal shower given at the home of Mrs. Claude Stave in Daleville. 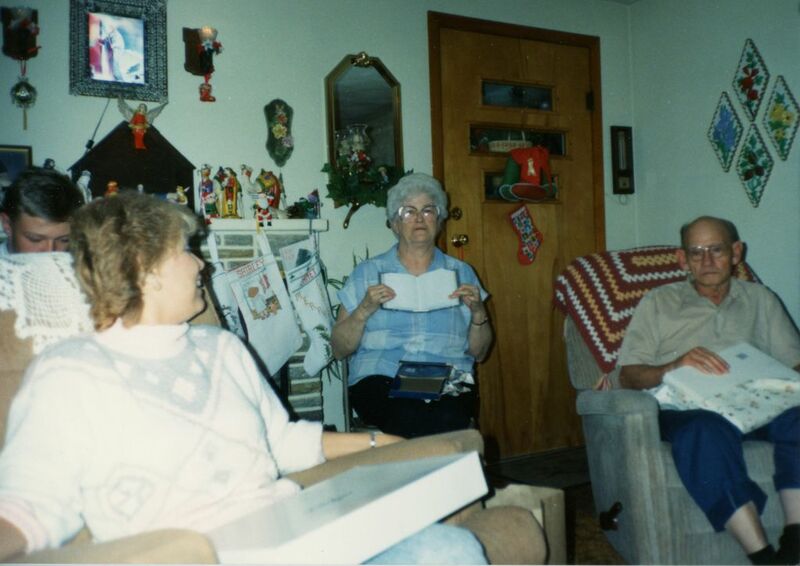 Mrs. Joseph Engle won the door prize and other prizes were won by Mrs. John Lucas and Miss Janet Robbins. Others present were Mrs. Walter Robbins Jr., Mrs. Walter Robbins Sr., Mrs. Herschell Musick, Mrs. Donald Sharp, Mrs. Wayne Levell, Miss Gaynell Levell of Daleville; Mrs. James Odom, Mrs. Robert Cornell and Miss Jane Peck of Alexandria; Mrs. John Lucas and Mrs. Clarence Julius of Jonesboro; Mrs. Grace Robbins and Mrs. Paul Jarrell, Mechanicsburg; Mrs. Herbert Brown, Anderson; Mrs. Phillip Walker, Indianapolis and Mrs. Larry rude." 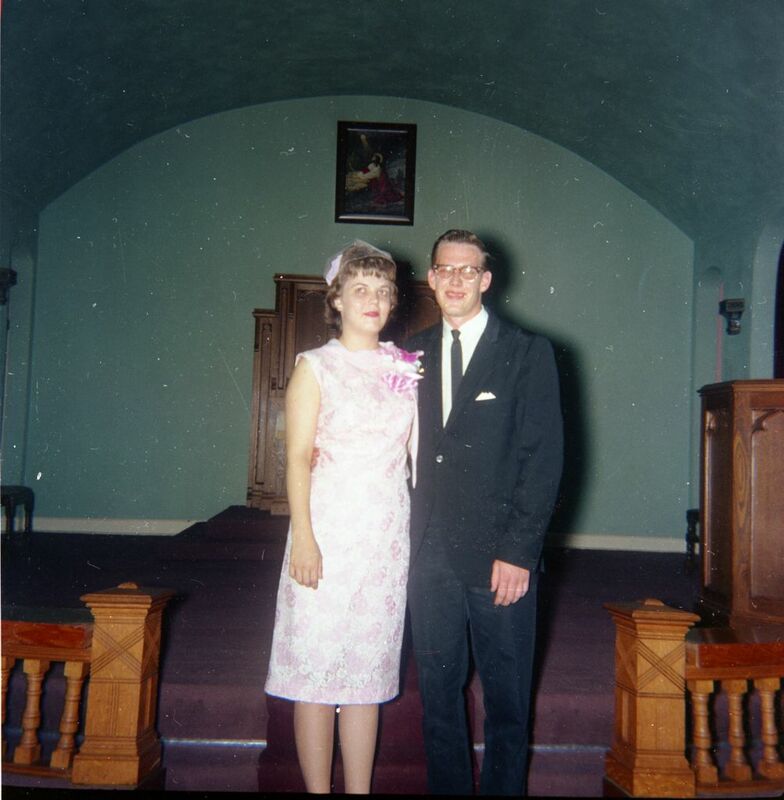 Picture of Shirley - "Mrs. Walter Robins Jr. - The wedding of Miss Shirley Kay Musick and Walter Robbins JR was solemnized on Friday, June 19, at 7 pm in the Daleville Methodist Church with the Rev H J Oeschle officiating at the single-ring ceremony. 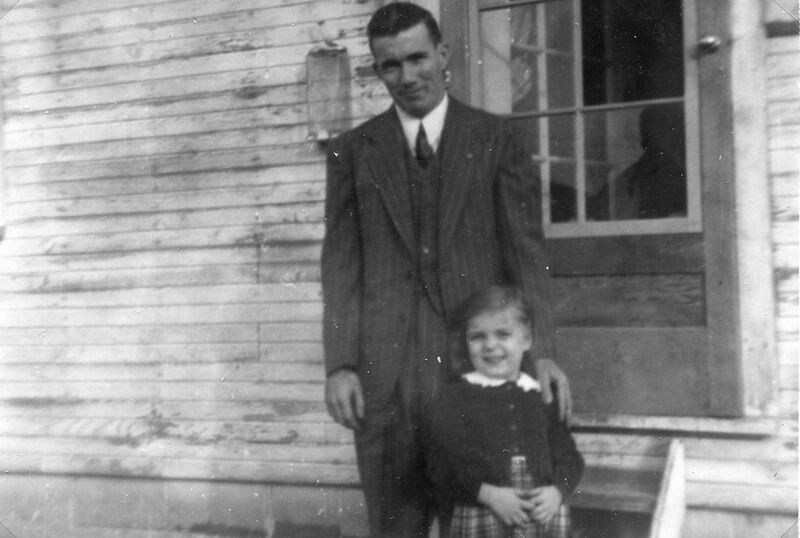 The bride is the daughter of Mr and Mrs Herschel Musick, Daleville, and her husband is the son of Mr. and Mrs. Walter Robbins Sr., RR 1, Daleville. For her wedding the bride chose a two-piece lace dress with pink accessories and an orchid corsage. 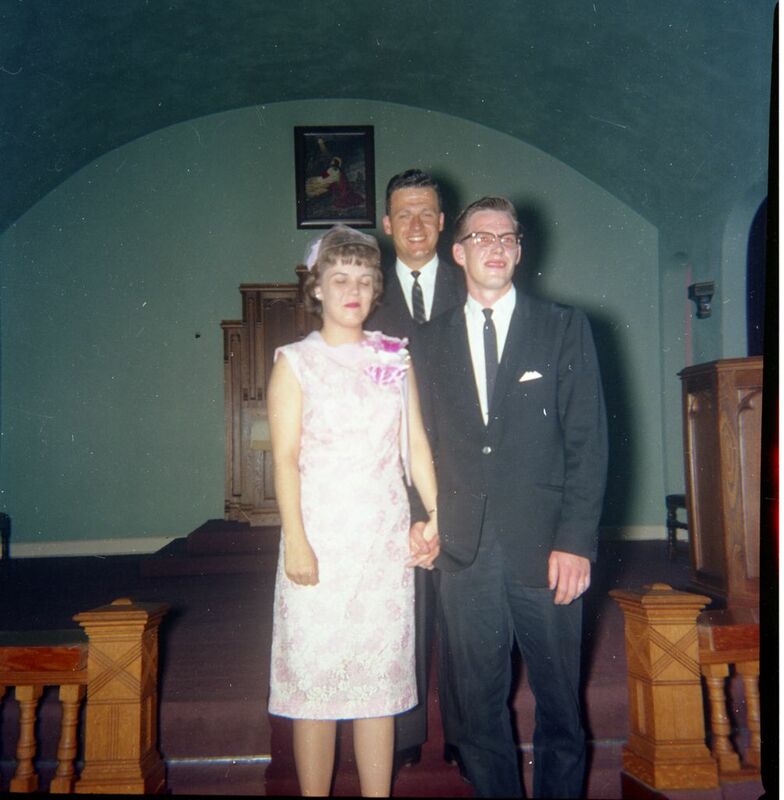 Mrs. Claude Stage of Daleville, matron of honor, wore pink silk print dress with white accessories and a white carnation corsage. Claude Stage acted as best man. 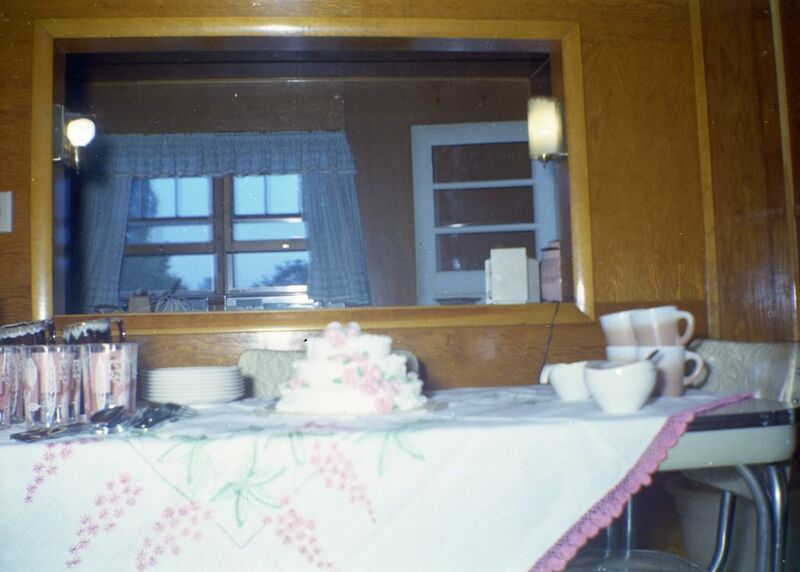 A reception followed at the home of the bride's parents. The bride and groom now reside at 2628-1/2 Pendleton Ave, Anderson. Both are graduates of the Daleville High School Class of 1962. 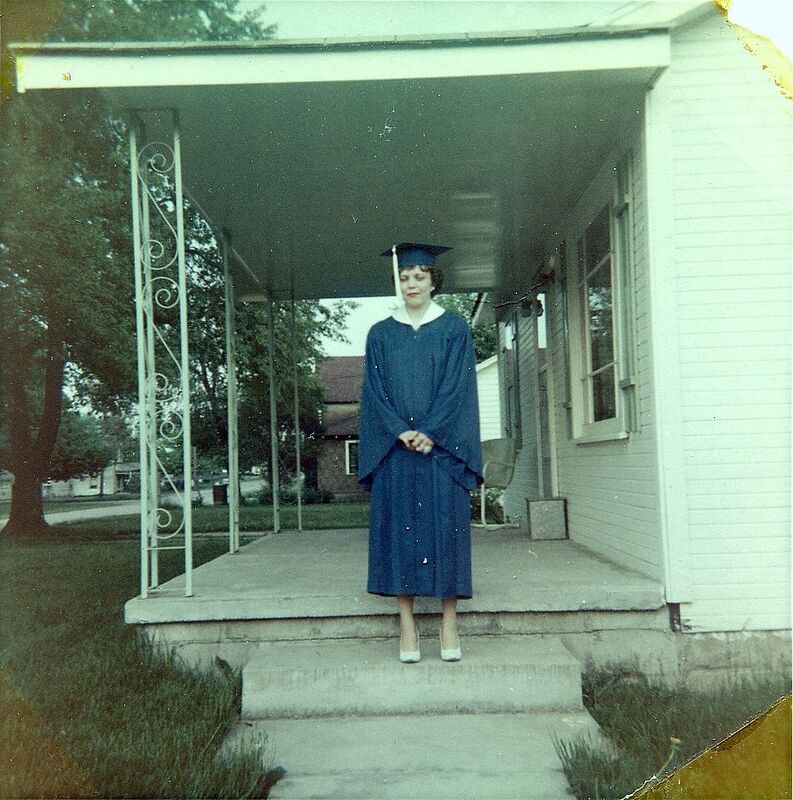 The bride attended International Business College at Ft Wayne and is employed as a secretary for Myers, Schlegel and Shirey, a Muncie law firm. 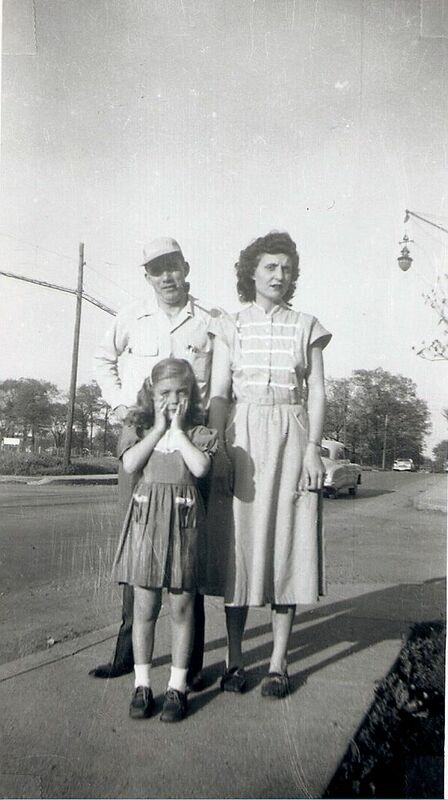 Her husband is employed at the Knapp Supply House in Muncie"
Extract: Page 437: "Robbins Shirley K ofc sec Warner Gear Rt 1 Bx 250a Daleville In"
S21 Shipping label and two business cards pertaining to Shirley K Musick Robbins and her employment at Warner Gear, Division of Borg Warner, Muncie, Delaware County, Indiana. Business Card dates, 1986, 1987. Acc000286. S22 Commencement Program, Ball State University, 21 May 1988. 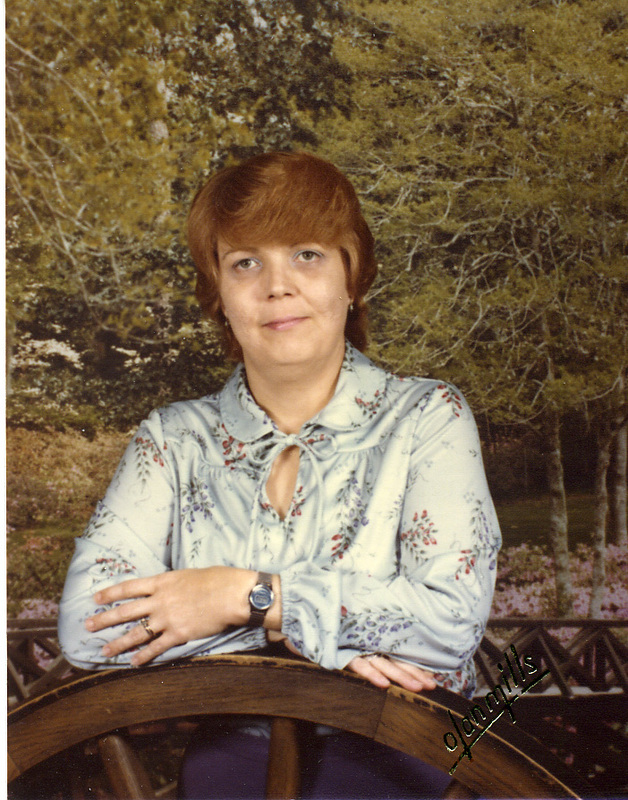 Shirley K. Musick Robbins ID0002, BS Degrees, page 26, Acc000993. S23 Newspaper Article: "BSU's Grads from East Central Indiana" - Muncie Star, 24 July 1988, page 10-A. 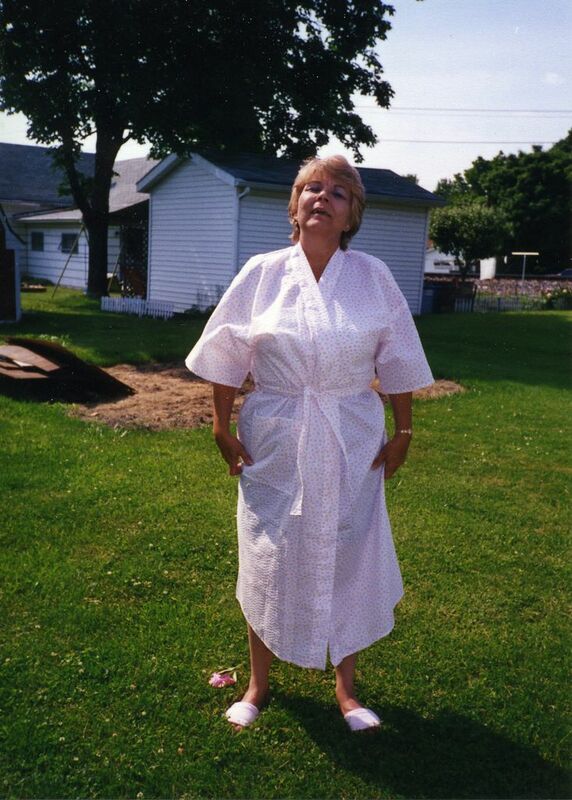 Extract: "The following residents of East Central Indiana are among those who graduated from Ball State University at the end of the spring quarter." 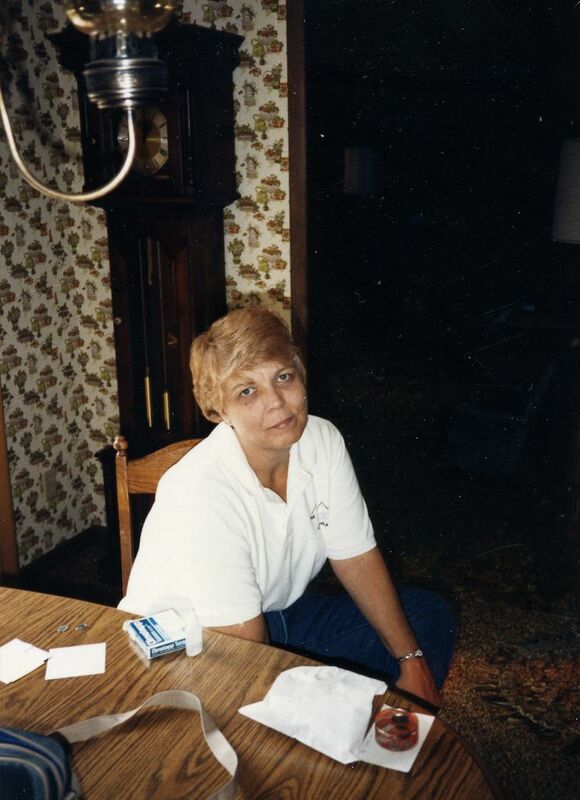 - "Shirley K Robbins, BS, general studies;"
Note: Color photo of Shirley - "In Loving Memory Shirley Kay Robbins Born Tuesday June 6, 1944 - Passed Away Friday October 12, 2001 - Services Held at Ballard and Sons Funeral Home Daleville, Indiana, 6:00 pm, October 19, 2001 - Conducted by Rev Gary McManus - Cremation Services: Cape Coral, Florida - Arrangements by Ballard and Sons Funeral Home, Daleville, IN"
Extract: Shirley, page 4: "Shirley Musick - I resolve to stay single until 1965" - Walt, Page 5: "Walt Robbins - I resolve never to go to Indianapolis with a certain friend again"
S30 Objects: Misc. items relating to Daleville High School years. 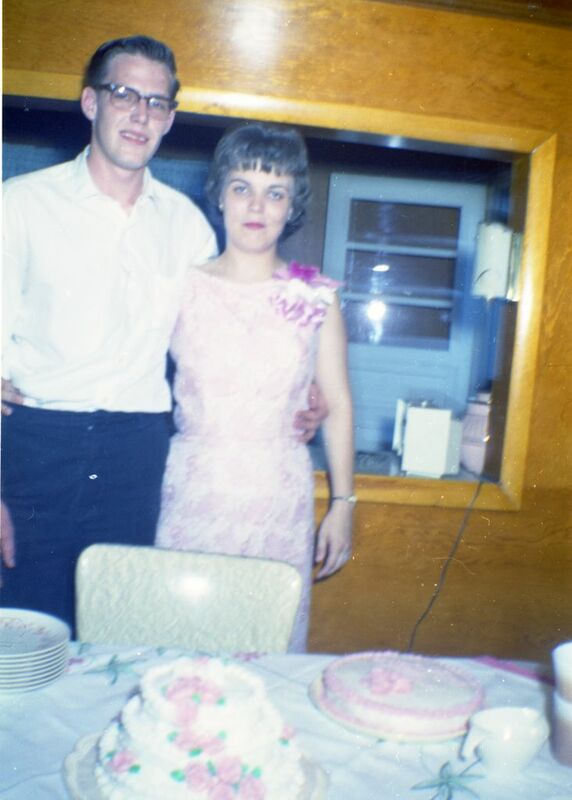 Walter C. Robbins, Jr. and Shirley Kay Musick. Acc001302. S32 "Indiana, Marriage Certificates, 1958-200" [database on-line]. Original Data: Indiana State Board of Health. Marriage Certificates, 1958–2005. Microfilm. Indiana Archives and Records Administration, Indianapolis, Indiana. www.ancestry.com, accessed , 12 June 2016. 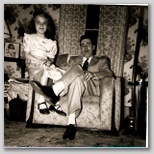 Walter C. Robbins Jr. and Shirley K. Musick. Doc3546.pdf. 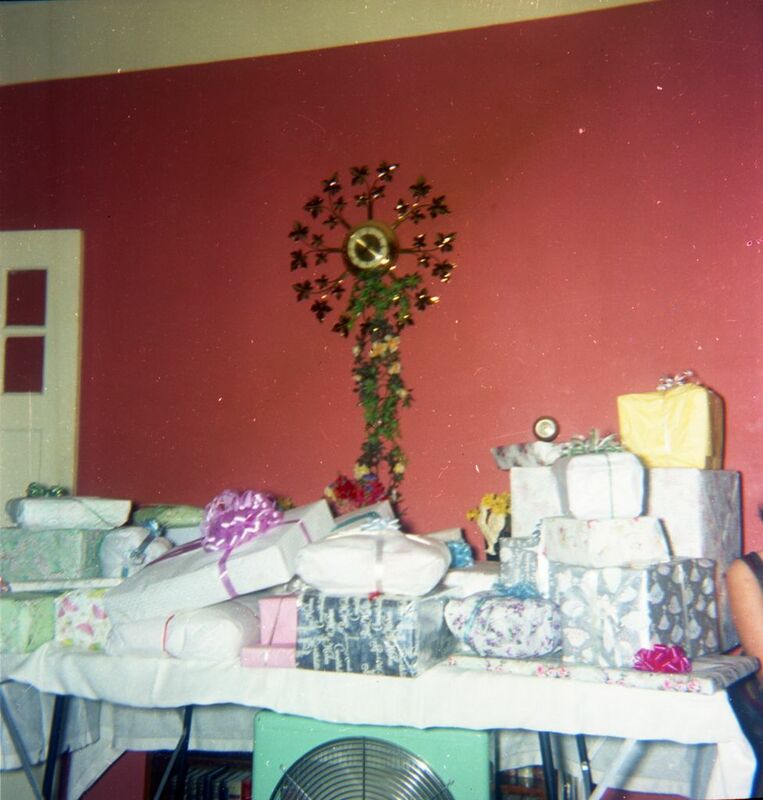 Mrs. Walter Robbins Sr. [Jr.], formerly Miss Shirley Kay Musick was the guest of honor recently at a bridal shower given at the home of Mrs. Claude Stave [Stage] in Daleville. Mrs. Joseph Engle won the door prize and other prizes were won by Mrs. John Lucas and Miss Janet Robbins Others present were Mrs. Walter Robbins, Jr., Mrs Walter Robbins Sr., Mrs. Herschell Musick, Mrs. Donald Sharp, Mrs. Wayne Levell, Miss Gaynell Levell of Daleville; Mrs. James Odom, Mrs. Robert Cornell [Cornwell] and Miss Jane Peck of Alexandria; Mrs. John Lucas and Mrs. Clarence Julius, Jonesboro; Mrs. Grace Robbins and Mrs. Paul Jarrell, Mechanicsburg; Mrs. Herbert Brown, Anderson; Mrs. Phillip Walker, Indianapolis and Mrs. Larry Rude. Queen of the prom was Miss Toni Sargent, who was escorted by Steve Shoemaker. Miss Sargent was crowned by Miss Roxie Pickel, last year's queen. Caption: Miss Roxie Pickel, right is crowned queen of the Daleville junior-senior prom by Thelma Hatton, last year's queen. "Stairway to the Stars" was the theme and the "Initials" from Selma provided music. Glittering stars sprinkled on the backdrop accented the letters spelling "Stairway to the Stars," theme of the Daleville junior-senior prom held Saturday at Mockingbird Hill Park in Anderson. Hall Tree built by Walt Jr.